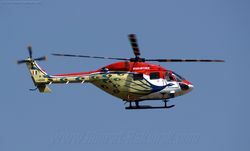 The Dhruv is designed as a multi-role helicopter for both military and civilian uses, with the main demand expected to come from the Indian Armed Forces. From 1984, work at HAL was supported by MBB (now Eurocopter Deutschland), and the helicopter features a hinge-less composite main rotor with elastomeric bearings and a bearing-less tail rotor. Also, composites are used in the airframe (nose, doors, fairings and part of the tail). 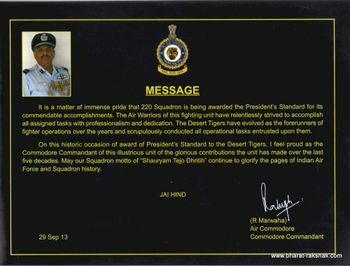 In light of the high altitude fighting in Kargil during the summer of 1999, the Dhruvs hot-and-high performance will be much valued. 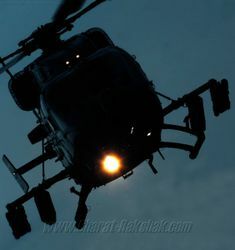 Indian operations were initially handicapped by the fact that the bulk of the fighting took place in altitudes in excess of 15,000 feet where conventional attack choppers could not be deployed because of performance limitations. 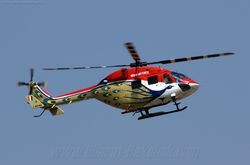 The first HAL Dhruv (J-4041), in IAF colours, prior to delivery. 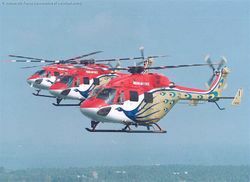 The first two helicopters were delivered to the Indian Air Force on 28 March 2002 at a simple ceremony in Bangalore. 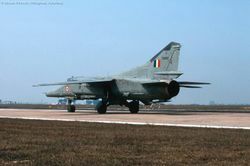 J-4042, and other IAF Dhruvs, can carry a 20mm gun plus eight anti-tank guided missiles (ATGMs) or four air-to-air missiles or four 68mm rocket pods on outriggers. It can also be used in the utility role. 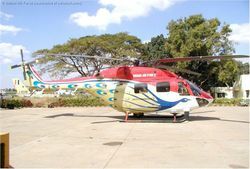 A recent photograph of the IAFs HAL Dhruv (J-4042), doing the trial flights at Bangalore in July 2002. HAL Dhruv J4045 seen during one of the aerobatics display at Aero India show in Yelahanka. 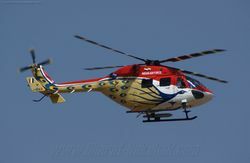 HAL Dhruv J4063 seen during one of the aerobatics display at Aero India show in Yelahanka. 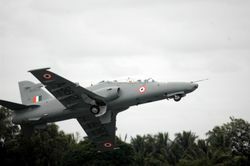 Z3183 was one of the first prototypes tested by HAL. 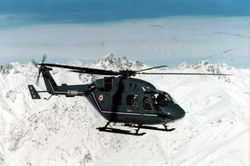 An ALH (Z3268) undergoing high altitude tests over Siachen.